When a married couple gets divorced in Maryland, there is a system of rules and guidelines in place to determine property division between the spouses. Unlike many U.S. jurisdictions, Maryland does not adhere to community property rules, where the former spouses split all marital assets down the middle. This type of 50-50 split is a simple way to divide up marital property. But it does not account for differences in circumstances between the divorcing spouses. Under Maryland law, the courts are responsible for ensuring an equitable distribution of marital property. 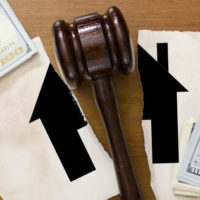 Imbalances between the divorcing spouses — such as earning capacity or other economic disparities— can affect the division of marital property. Above all else, the Maryland courts must ensure that property division is fair and equitable, providing both spouses with an opportunity to survive after the divorce. 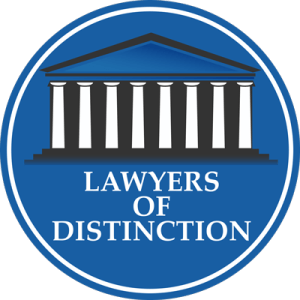 In order to isolate an equitable distribution of property, the Maryland courts examine four types of property: Marital Property, Non-Marital Property, Family Use Personal Property and the Family Home. Interest in real property held by both spouses as tenants by the entireties. Directly traceable to any of these sources. Is used primarily for family support purposes. Both spouses agreed to exclude from marital property. At least one spouse and at least one child of the parties will occupy as their principal residence after divorce. Both spouses agreed to exclude from determination as a family home. If you need legal help with property division in Maryland, it can be tremendously constructive to contact a steadfast family law attorney. 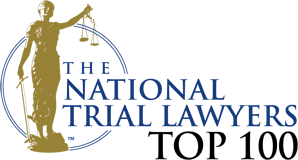 Based in Bel Air, Maryland, the attorneys at Schlaich & Thompson, Chartered have the experience needed to assist you today. The following awards & affiliations are associated with Schlaich & Thompson, Chartered. "I have been wanting to call you to thank you personally for all you did for us, so THANK YOU." —Terry C.
"Thank you for your services. You a did a great job." —Franklin M.
"Thank you very much for your legal representation. I felt extremely lucky to have you as my lawyer. I had faith that you would work to get the best outcome regarding my case. Rich..." —Kimberly O. "I just want you to know how much we appreciate what you did today and all of your help. You were great and I just wanted you to know how..."
"Thank you so much. You have been awesome throughout this whole process. I really appreciate your attention to detail and willingness to respond quickly to my ridiculous questions! The divorce..."
"Thank you, again, for your patience and professional guidance during this horrible year. You helped us avoid stooping to the low levels that would have resulted in a very different..."
"My sincere thanks to you for all you have done for us. You are very intelligent and professional. I will be happy to refer others to you... you have given me release of all my stress..." —Robert S.
"From our first meeting, you put me at ease, answered my questions and explained what I did not understand. I could not have completed this painful divorce process without your support and guidance. For all these reasons, I will be forever grateful for you." —Kathy S.
"My sincere thanks for your representation of me in my divorce. Your service was excellent (which is what my referral had told me) even for a simple case like mine." We care about the people who come to us for legal help. We tailor our services to the specific needs of each client, providing practical and affordable legal solutions. Schlaich & Thompson Chartered is located in Bel Air, MD and serves clients in and around Bel Air, Benson, Forest Hill, Churchville, Jarrettsville, Abingdon, Aberdeen, Fallston, Belcamp, Joppa, Perryman, Edgewood, Street, Fork, Darlington, Kingsville, Havre De Grace, Hydes, Baldwin, Baltimore County and Harford County. © 2017 - 2019 Schlaich & Thompson Chartered. All rights reserved.